Made of color coated jade glass, the Blue Plaque has a large etch area that allows for a long, personalized message. Choose from one of three colors, two sizes, and either horizontal or vertical orientation. 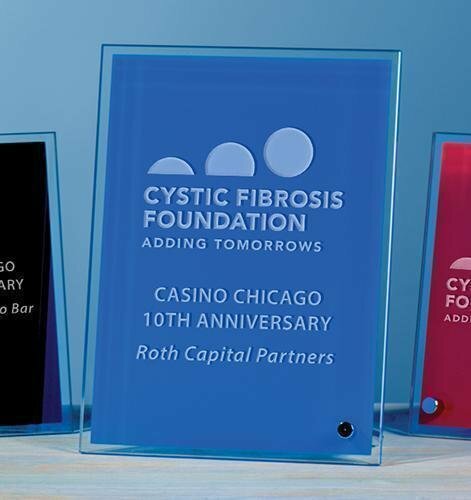 The Blue Point Award is a simple, clear glass rectangular plaque, with a blue glass trapezoid for a unique touch of color.